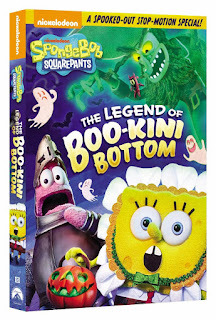 motion spectacular, SpongeBob SquarePants: The Legend of Boo-Kini Bottom, is the perfect Halloween children's entertainment. This terrifying tale tells the story of the Flying Dutchman (Brian Doyle-Murray) coming to Bikini Bottom to make sure everyone in town is scared--especially SpongeBob, who seems to be unflappable in his belief that spooky things are actually funny. Inspired by the visual style of classic stop-motion animation TV specials, The Legend of Boo-Kini Bottom was brought to life in three dimensions by Los Angeles-based stop-motion studio Screen Novelties. 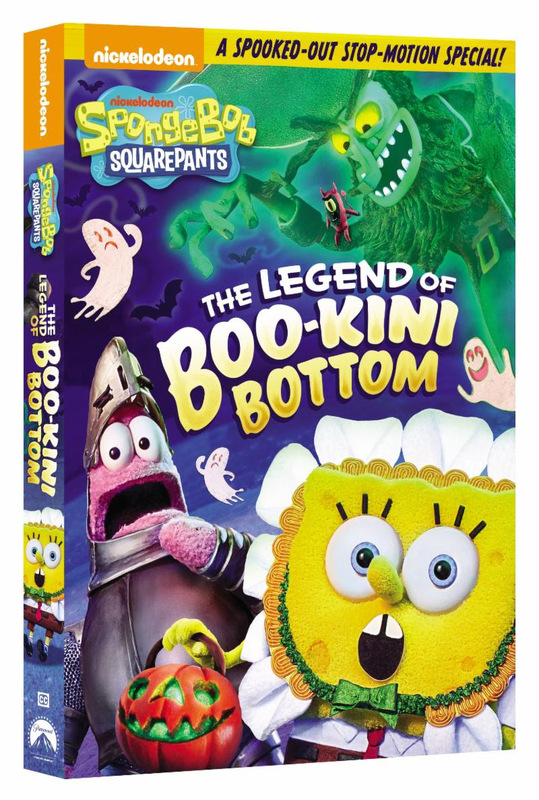 Produced by Nickelodeon Home Entertainment and distributed by Paramount Home Media Distribution, SpongeBob SquarePants: The Legend of Boo-Kini Bottom is available for the suggested retail price of $10.99 but if you order now on Amazon you can save! Get your copy here today for only $9.99.